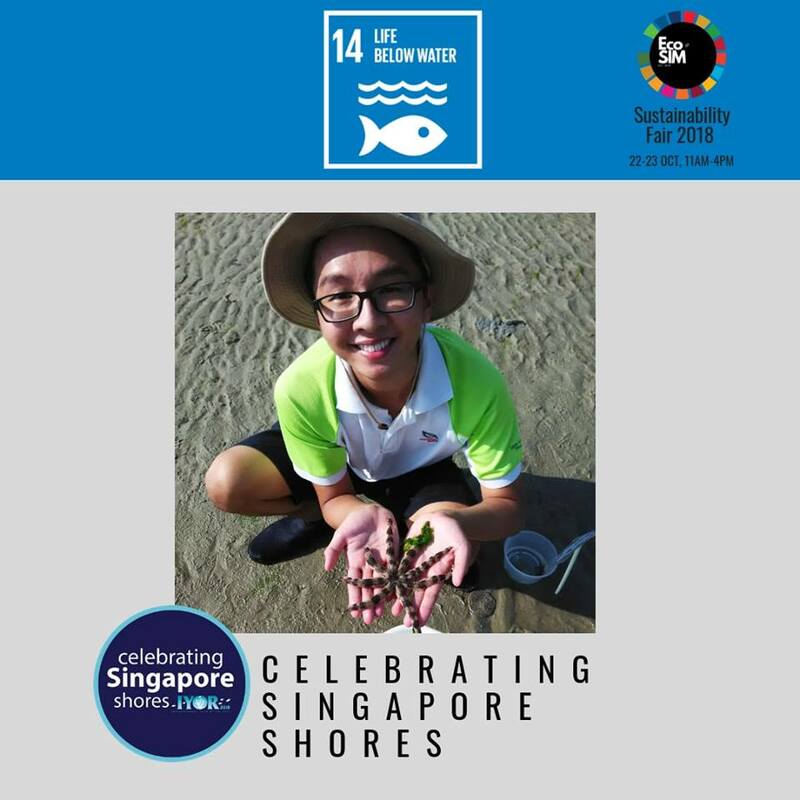 In the months of September to December, Celebrating Singapore Shores was on the road once more to raise awareness for the secret shores of Singapore! This FREE talk "Secret Shores of Singapore", accompanied by FREE panels and brochures that are kindly sponsored by the National Research Foundation, is offered as part of Celebrating Singapore Shores and International Year of the Reef (IYOR) 2018. Yi Feng is one of the many outstanding youths who have stepped up as an IYOR intern. Travelling around Singapore to share about the amazing shores of Singapore has been equal parts enriching, challenging and fun! My first talk was done together with Karl, the previous intern. We were able to share about the secret shores of Singapore with Karl's alma mater, St Joseph's Institution! Many students approached our booths to have a look at some of our specimens collected from our own shores, as well as to learn more about the various ecosystems found on Singapore's shores through our info-panels. There was also a screening of "Chasing Coral", a project aimed at documenting the disappearance of coral reefs as they succumb to bleaching. My next talk was done with Sentosa Development Corporation in conjunction with a beach cleaning activity. I shared all about my experiences on the various seashores in Singapore, including in the North (Chek Jawa, Beting Bronok), as well as the South (Sisters' Island, Kusu Island). The participants were fascinated and very curious to know more, especially the kids! I was also very excited to learn that Sentosa has been raising awareness for the hawksbill turtles that nest along their shores annually! My third talk was held at the United World College, Southeast Asia, at their Dover campus. There, a group of students from the marine science club hosted me. 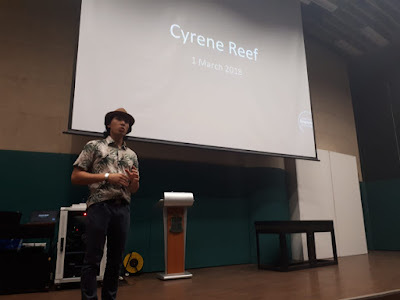 Even though they had been conducting activities related to marine science and ecology for a while, they were not aware that Singapore has thriving reefs and mudflats right at our doorstep, and were very interested to know more! 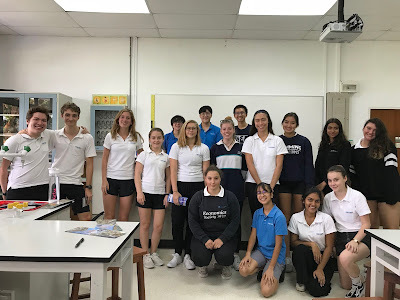 In particular, many of them wanted to know what could be done to protect our local biodiversity, and what opportunities there were for students to get involved in conservation work. 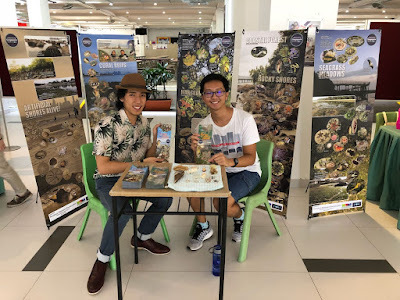 Next, I was given the opportunity to present on the secret shores of Singapore at the Singapore University of Social Sciences (SUSS), as part of the Eco-SIM Sustainability Fair. Many students were curious to know how they could organise their own trips to the shores. There were also booths raising awareness for various ways to tackle environmental issues, as well as some that sold environmentally-friendly products. 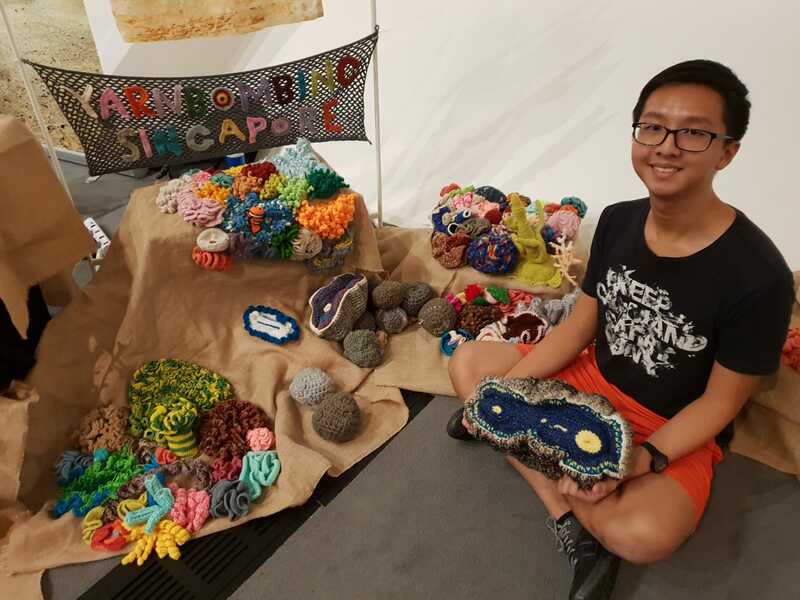 Last but definitely not least, my final stop of 2018 was at the Singapore Eco Film Festival, in partnership with the very creative and talented people of Yarn Bombing SG. 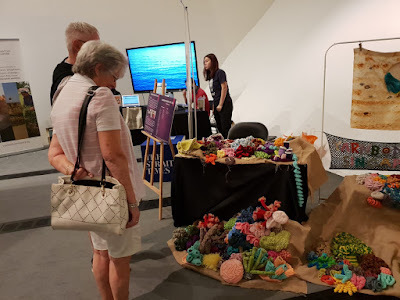 These were a group of hobbyists who use yarn and various other materials to create beautiful sculptures of marine life to be presented as part of their mobile reef. They were very talented individuals and had to experiment and create novel patterns in order to simulate the appearance of some of our reef creatures as pictured. These included sea stars, nudibranchs, giant clams and the Neptune cup sponge! Their work was inspired by what they knew about coral reefs in Singapore, including the recent discovery of the previously globally extinct Neptune's cup sponge in our local waters. I was able to provide curious visitors with more information about the importance of these marine creatures and how they add to the natural heritage of Singapore. That wraps up Celebrating Singapore Shore's activities for 2018! A huge thank you to all our partners and organisers of the above activities for reaching out to us, and for including us as part of their programmes. None of this could have been done without their dedication and passion for protecting the environment and our natural heritage. Thank you to Mei Lin, Ria, Karl and Chew Peng for the support that they have rendered as well, in allowing me to carry on this great project!